One of the most popular requests we get here at Best Home Renovations is for the Naperville bathroom remodeling job. We are your Remodeling Contractor for your next Naperville Remodeling Contractor project. There are plenty of great reasons to change up your bathroom. The bottom line though is that for so long homeowners treated this room like a forgotten room of necessity. Nowadays that opinion is changing. There are so many great options available to make this room an enjoyable one. What better way to recover from a long, stressful work day than to relax in a long, hot shower or bath. At Best Home Renovations we work to create a room of tranquility so you can start to actually enjoy this room. We work with our clients through every step of the process. We listen to your goals and visions then show you the countless options available to you. From there we help you make important choices for your bathroom that will fit your taste, needs and budget. Never settle for less than the best when it comes to your home improvement projects. If you are someone who likes to cook and bake then you know how important it is to have a kitchen that actually is user-friendly. From prepping food, to storage for your serving trays and even in order to be able to move around, it has to be designed just right. We can find out what it is you want to accomplish with your finished kitchen and then work our magic to make that happen. Being a homeowner should mean using every room in the house. Yet too many people settle for leaving their dark, dank, spooky basement as is. Our experts here at Best Home Renovations are masters at delivering a Naperville basement finishing job. Finally, rid yourself of the creepy basement and make it a room you and your family will love. Not to mention, this is a great way to increase the value of your home. Contact us today so we can get started and transform this room of your home into a game room, second living room or even a guest bedroom. When it comes to your Naperville kitchen or bathroom remodeling or basement finishing project the name to trust is Best Home Renovations. 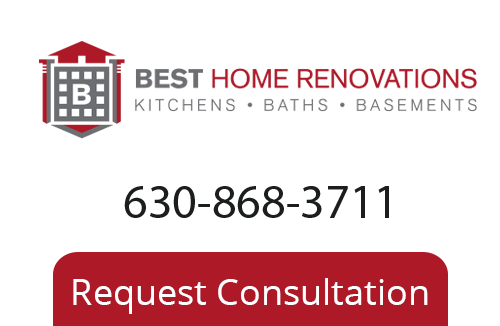 To learn more about our Naperville Remodeling Company please call 630-868-3711, or fill out our online request form.